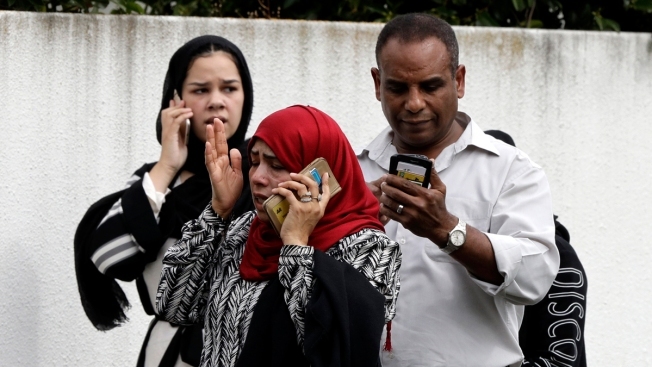 The secretary-general of the 57-nation Organization of Islamic Cooperation said the attack "served as a further warning on the obvious dangers of hate, intolerance, and Islamophobia"
New Zealand police said at least 49 people were killed Friday at two mosques in the picturesque South Island city of Christchurch. Several dozen more were seriously wounded in what Prime Minister Jacinda Ardern called a "terrorist attack." 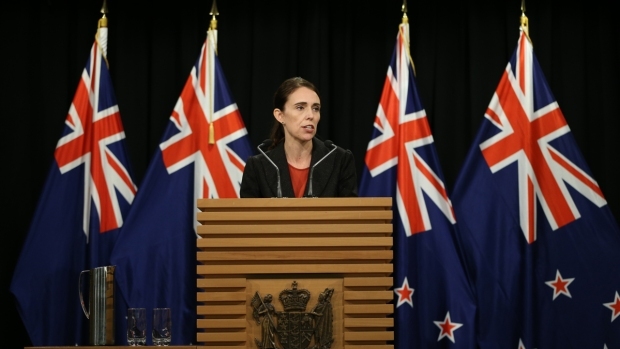 Ardern said migrants and refugees affected by the attacks "have chosen to make New Zealand their home, and it is their home. They are us." Among the four people initially taken into custody — one was later released — was an Australian man. A man who earlier claimed responsibility for the shooting said he was a 28-year-old Australian and described anti-immigrant motives in a long manifesto. The manifesto mentioned popular YouTuber Pewdiepie, who responded in a tweet by saying he was "absolutely sickened having my name uttered by this person." Pewdiepie, whose name is Felix Kjellberg, offered condolences to the people affected by the shooting. Condolences poured in from nations around the world. Australian Prime Minister Scott Morrison said: "We are outraged, and we stand here and condemn absolutely the attack that occurred today by an extremist right wing terrorist. This attack reminds us of the evil that is ever present." Nihad Awad, executive director of the Council on American-Islamic Relations, noted that the purported gunman's manifesto quoted U.S. President Donald Trump and called on Trump to clearly condemn the attack and assure people that they will be protected. "Mr. Trump, your words matter. Your policies matter. They impact the lives of innocent people at home and globally," Awad said. "You should condemn this, not only as a hate crime, but as a white supremacist terrorist attack." Trump, in a tweet, had earlier sent "warmest sympathy and best wishes" to the people of New Zealand in a tweet. He wrote that "49 innocent people have so senselessly died, with so many more seriously injured. The U.S. stands by New Zealand for anything we can do. God bless all!" Awad called the message in Trump's tweet "a first step" that nevertheless rang hollow. On Thursday night in the U.S., as early reports of the shootings were coming in, he tweeted a link to right-wing Breitbart News, which had interviewed him. The tweet was deleted by Friday morning. His press secretary, Sarah Sanders, released a statement Friday morning saying the country "strongly condemns the attack" and that the U.S. stands "against this vicious act of hate." Several police departments across the United States said they increased security around mosques in response to the shooting. New York City Mayor Bill De Blasio said: "The people of New Zealand are in the hearts and minds of New York City tonight as heartbreaking reports continue out of Christchurch. Our love and prayers are with all impacted by the horrific attack at these mosques." Rep. Alexandria Ocasio-Cortez, D-NY, weighed in, drawing comparisons to the mass shootings that have occurred at various houses of worship in the U.S.: "At 1st I thought of saying, 'Imagine being told your house of faith isn’t safe anymore.' But I couldn’t say 'imagine.' Because of Charleston. Pittsburgh. Sutherland Springs." 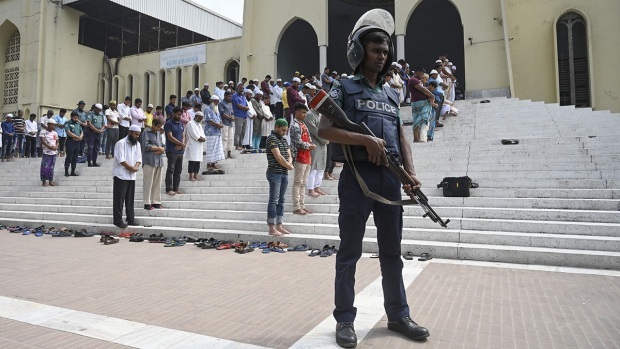 German Foreign Minister Heiko Maas extended his country's sympathies to those who lost loved ones, saying "if people are murdered solely because of their religion, that is an attack on all of us." Japan's Prime Minister Shinzo Abe condemned the "dastardly terrorist attack" and offered his condolences, as did several other world leaders.